Row 2: BLHDC into second chain from hook and then in every chain until the end of the row. Chain 2 , turn. so that you have a tube. 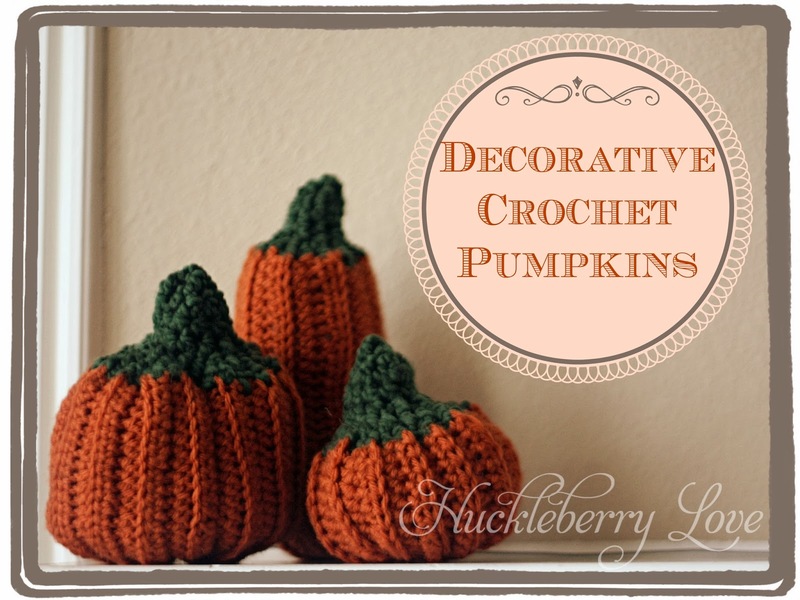 Next, it is time to create your pumpkin bottom. Do this by taking one end of your tube and sew the sides together like shown in the diagram. Turn your pumpkin right side out. 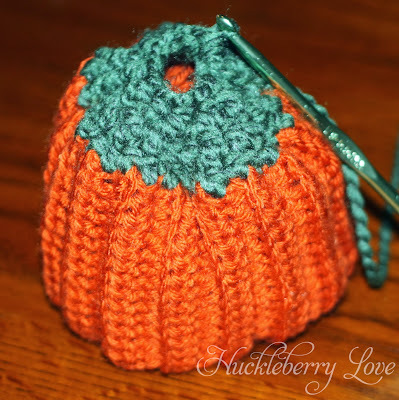 Start stuffing your pumpkin with Fiber Fill to about the half way point. Using your green yarn attach it to the un-sewn end of your tube. Ch 2, HDC evenly around the top of the tube, join with first HDC. Row 2: HDC DEC all the way around. Repeat Row 2 until there are about 6-8 HDC's left (depending on the width you want your stem to be). 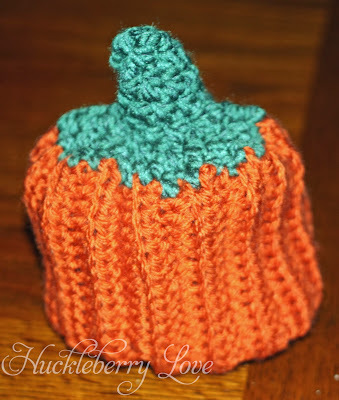 Stuff the rest of your pumpkin. HDC around until you have the length of stem that you desire, stuff your stem and then HDC DEC to finish off your stem. Fasten off. And there you have it! 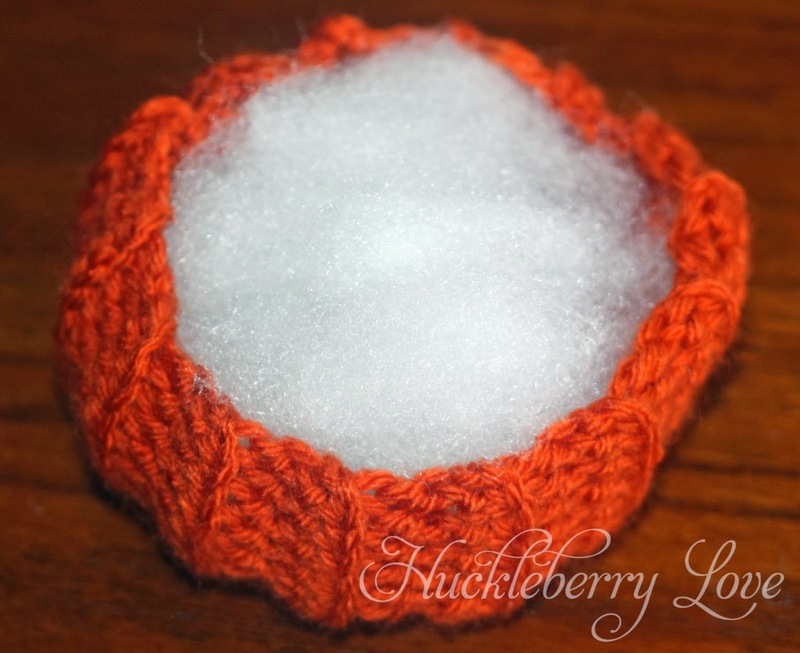 A super simple crochet pumpkin decoration! 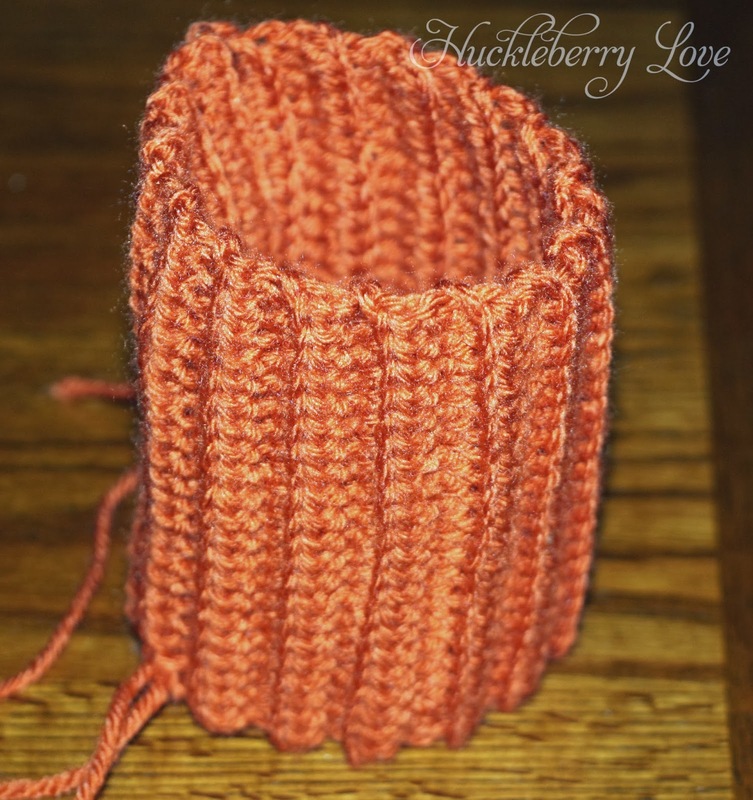 I think this project is great for a mantle but it would also look super cute as a centerpiece. 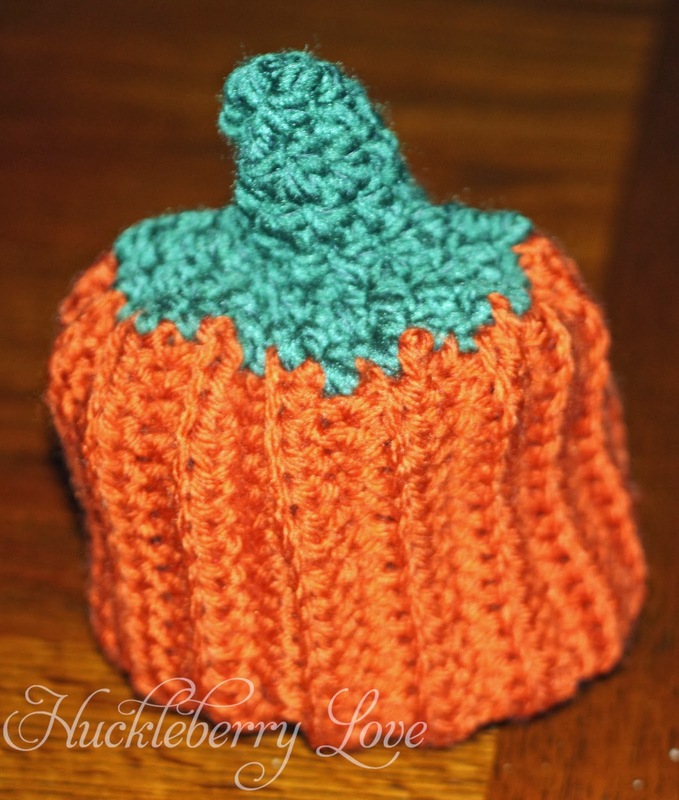 If you wanted, you could even make one of these cuties as a sweet Halloween or Fall baby toy. 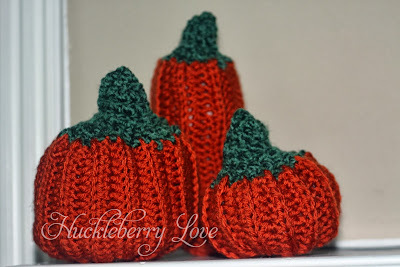 Such cute pumpkins! I have no idea how to crochet... but my teen daughter does so I'll have to show this post to her :) Pinned while I was here too! Hi, I love your pumpkins! I have been making crocheted pumpkins like crazy! Check out my blog and you will see! I saw your on hookin on hump day. I love crocheting pumpkins.. These are so cute! I like the idea about making one a toy for a baby. My little one would love that. These are so cute! 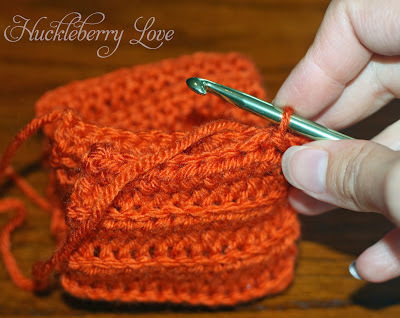 I wish I knew how to crochet, I might need to learn. I came over from the Daily Blog Boost. I am pinning this! Cute pumpkins. Thanks for the how-to. These are so cute!! Thank you for the tutorial. I pinned it! !